Things I love about Italy: you get potato chips with your drinks. 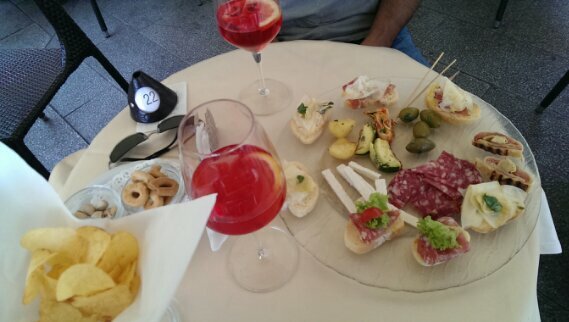 Things I live about Milan: you get a plate of salumi and bruschetta with your drinks. And potato chips. Spanish-style. 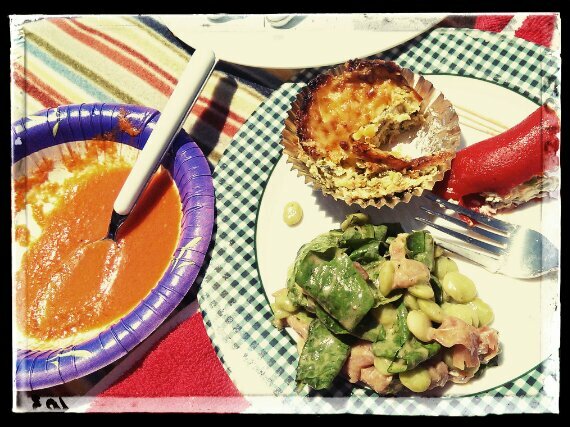 Piquillo peppers, gazpacho, lima bean salad, and zucchini cake. 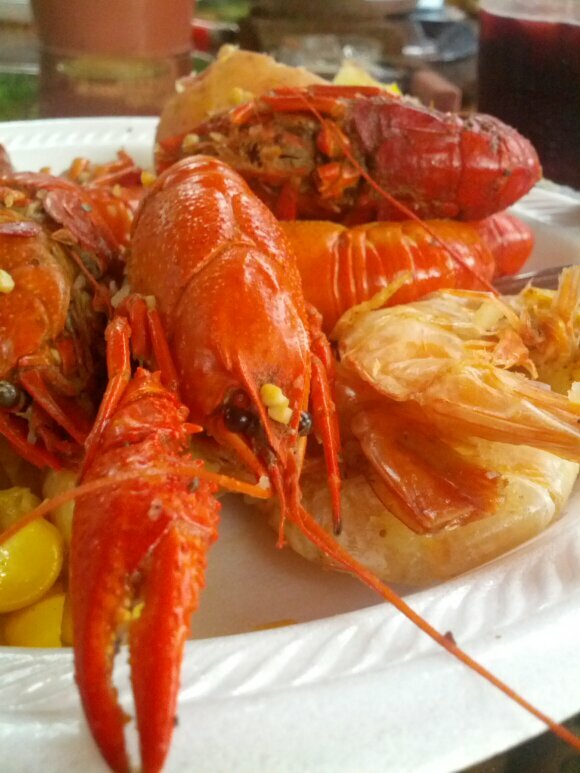 With perfectly crisped skin, topped with flakes of sea salt. 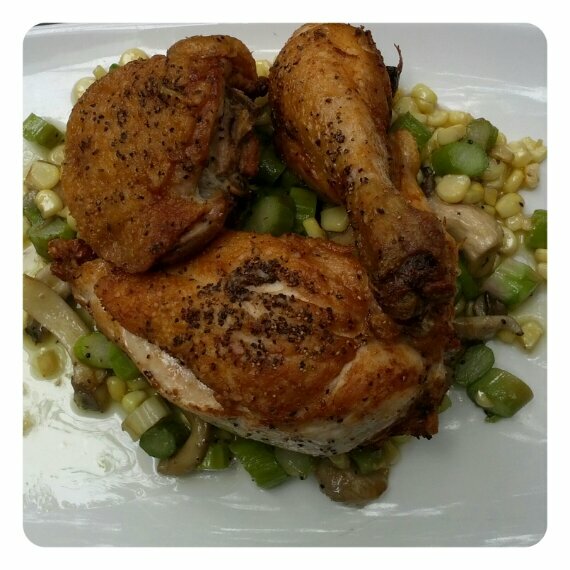 On top of a buttery succotash of corn, asparagus, and mushrooms. At Hog’s Breath Pub, Carmel. At the train station. Not bad digs. 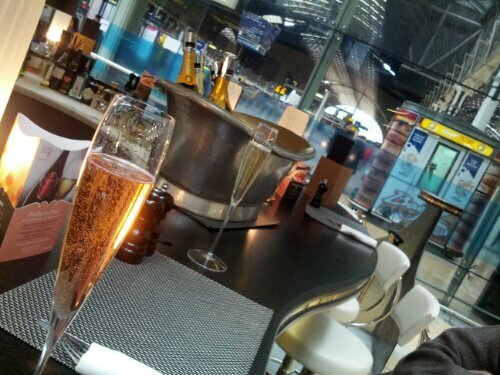 Searcy’s Champagne Bar, Paddington Station.